Hi Clara! Can you tell us a little about your latest book. 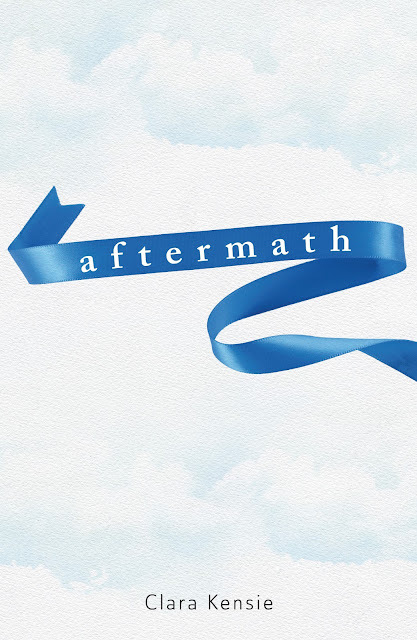 AFTERMATH is a dark, ripped-from-the-headlines psychological thriller about hope, healing, and triumph over tragedy. Sixteen-year-old Charlotte survived four long years as a prisoner in the attic of her kidnapper, sustained only by dreams of her loving family. The chance to escape suddenly arrives, and Charlotte fights her way to freedom. But an answered prayer turns into heartbreak. Losing her has torn her family apart. Her parents have divorced: Dad's a glutton for fame, Mom drinks too much, and Charlotte's twin is a zoned-out druggie. Her father wants Charlotte write a book and go on a lecture tour, and her mom wants to keep her safe, a virtual prisoner in her own home. But Charlotte is obsessed with the other girl who was kidnapped, who never got a second chance at life--the girl who nobody but Charlotte believes really existed. Until she can get justice for that girl, even if she has to do it on her own, whatever the danger, Charlotte will never be free. When I was twelve, a girl my age, from my neighborhood, disappeared on her way home from school. I knew about stranger danger and all that, but until then, I never really believed bad things could happen in my safe, suburban town to girls like me. It was the first time I truly felt unsafe and vulnerable. But I knew that the fear I was feeling was nothing compared to the terror the missing girl must be feeling. Fortunately, she was found alive a few days later. She’d been kidnapped by a man who lived a few blocks away, and he kept her locked in a corner of his crawlspace. Following a lead, the police had searched the man’s house, even going into the crawlspace, but they didn’t see her, and the girl’s captor had terrorized her so much that she was too scared to call for help. The police came back later to search the crawlspace again, and she finally found the courage to cry out to them. The girl and her family moved away soon after her rescue, and I never learned what became of her. But I never forgot about her. I made up a story about her recovery, and that story became AFTERMATH. I’ve thought of her often over the years. I want to know how she survived, how she recovered, what kind of impact the experience had on her and her family. 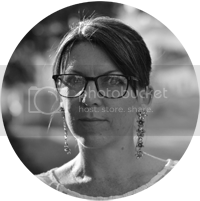 I became fascinated with the subject of recovery from traumatic events – so much so that in college, I majored in psychology, sociology, and social services, with a minor in criminal justice. Triumph over tragedy is a frequent theme in the books I write. Although that girl’s experience inspired AFTERMATH, the book isn’t her story. AFTERMATH is Charlotte’s story. Charlotte is kidnapped just before her twelfth birthday and escapes when she’s sixteen. The book starts with her escape and follows her journey to recovery, as well as her family’s. AFTERMATH is a standalone novel. only to discover that her family has fallen apart in her absence. To put her broken family back together, and to help find the body of her captor’s first victim, the traumatized girl must first heal herself. They are so perfect! If AFTERMATH really is ever made into a movie, I’m going to beg Amanda and Rachel to play Charlotte and Alexa. I’ve always enjoyed writing, and I took creative writing classes in high school and college, but being an author was never a career goal. I kind of fell into it a few years ago. I had just finished reading the Harry Potter series, as well as the Twilight series. I was so sad when they ended. I loved the characters and I wasn’t ready to say goodbye to them. I realized, though, that all series end, and the only way to have characters that I’ll never have to say goodbye to is to write them myself. So that’s what I did. Even after the books are published and out in the world, the characters are still mine, I know them intimately, and I’ll never have to say goodbye to them. Hoo boy, that’s a hard one! I love book covers. A book cover designer, I’d imagine, is probably one of the hardest jobs in publishing. I admire everyone who does it. My favorites are covers with a single, simple, powerful, iconic image. My most recent favorite is the cover for SAD PERFECT by Stephanie Elliott. I haven’t read the book yet, (it’s pubbing Feb 28 2017), but even if I didn’t know what it was about, I’d want to read it based on the cover alone. It’s simple, but powerful: a large, open safety pin on a textured white background. What does that safety pin mean? What does the title mean? The title is printed in all lower case. Why is the second ‘e’ in the word Perfect printed backwards? I must find out!!! I like to believe that the cover designer for AFTERMATH knew what kind of covers I like best, because she did it with my cover. It’s a single, simple, powerful, iconic image of a blue hair ribbon floating--or maybe it’s falling?—against a background of white clouds. The letters in the title are all lower case. The innocent, hopeful ribbon juxtaposed with the ominous title perfectly represents both the hope and the darkness in AFTERMATH. Simple, but powerful. I love love love the cover. For the rest of my life, every time a see a blue hair ribbon, I’ll think of AFTERMATH, and I hope everyone else does too. One book? Just one? Are you sure? Fine. One book that made me say wow is SCARS by Cheryl Rainfield (which, by the way, has an amazing cover too). SCARS is dark, and beautiful, and it’s written with such passion and honesty. It tackles important issues in a way that leaves you feeling raw and exhausted and inspired and strong and hopeful. It has probably saved people’s lives. Teenagers inspire me. Hearing about teens who overcome hardships, or who help others, or who want to go into politics, or who invent something cool, are so inspiring to me. I love teenagers. That’s why I write YA. I have a writing office with a desk and an ergonomic swivel chair and motivational posters and all that, but I hardly ever use it. My favorite place to write is on my bed. The Harry Potter movies. That may be an unoriginal answer, but it’s true. This is always the toughest question for me to answer. I’m going to go with my first, immediate thought: Stephen King. I started reading King when I was very young, maybe eleven years old, and his books blew me away. They still do. His characters stick with me. The plots are gripping, and his prose is brilliant. Ruth Bader Ginsberg, Stephen King, J.K. Rowling, Fannie Flagg, Armistead Maupin, Lemony Snickett, Amy Poehler, Tina Fey, Lena Dunham. Some are life-long favorite authors, some are authors of favorite books from various times in my life, some are authors of recent reads. All seem like fun, smart, interesting people. Ah! Can you imagine! What a blast we’d have!! I’ve lived in the Chicago suburbs my entire life. Rumor has it that my great-uncle worked for Al Capone.